In St Louis, residents can kneel and then raise a glass, all on the same block. 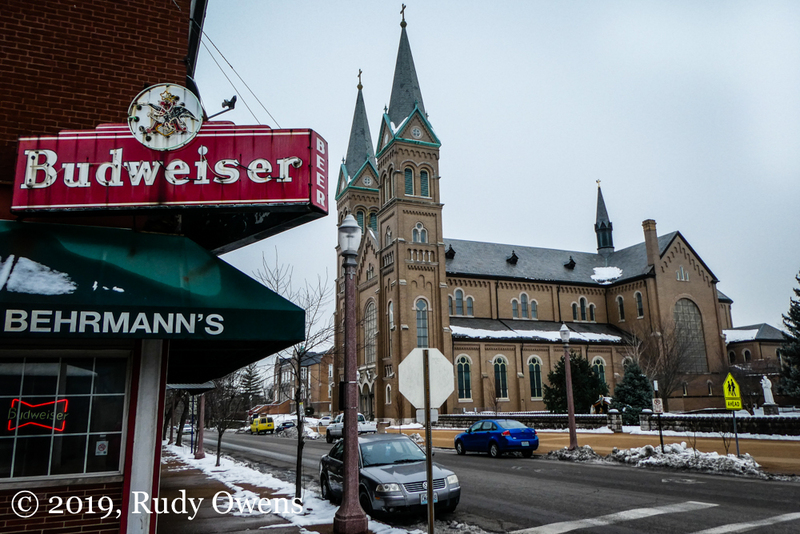 This is a shot of the St. Anthony of Padua Catholic Church on Meramac and Behrmann’s Tavern. Published February 2, 2019 at 1000 × 667 in Snow and winter in St. Louis.